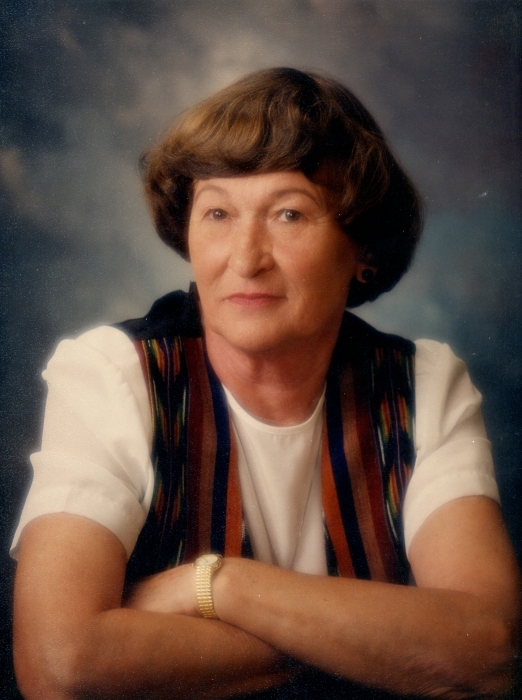 Mrs. Antonia "Toni" Schuss Vaught, 91 of Roseboro, passed away Friday, February 1, 2019 at her home. A memorial service will be held at 11:00am Friday, February 8, at Roseboro United Methodist Church, 300 N. Broad Street, Roseboro, with Reverend Bobby Herring and Reverend Duke Lackey officiating. The family will receive friends following the service. She was born December 25, 1927 in Marienbad, Czech Republic. She was preceded in death by her parents, Paul and Antonia Roth Schuss; and her husband, Sgt. First Class William Frederick Vaught. She worked as a Teacher's Aid and retired from Sampson County Schools. She is survived by two sons, William David Vaught (Teresa) of Garland, and Samuel Frederick Vaught of Atlanta, Ga; three grandchildren, Teresa White (Clay), Andrea Zahran (Karen Mobley), William Anthony "Tony" Vaught; one great granddaughter, Samantha Zahran; one great-great granddaughter, Rome Zahran; several nieces and nephews. Memorials may be made to Roseboro United Methodist Church, PO Box 8, Roseboro, NC 28382.